On Monday, we explored what Jesus' subversive reexamination of what's important and what's not in the life of faith through the lens of prayer. 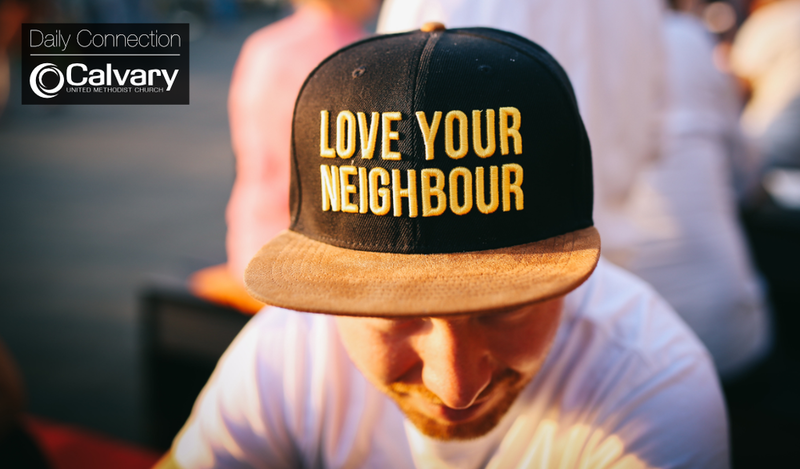 Today, that same reexamination is timely when it comes to loving our neighbors. In Luke 5.17-26, Jesus subverts the common idea that forgiveness is something that should be held tightly and controlled through a system of religious ideals and professionals (the Pharisees and Teachers of the Law). In this story, Jesus unleashed forgiveness for this paralyzed man, but he also set in motion one of the foundational practices for what he calls the Kingdom of God – the practice of forgiveness as a continual and frequent experience, both received and given by those who are a part of this new thing God was (and is) doing. The Lord's Prayer is a great example of this received/given pattern of forgiveness: "forgive us our sins, as we forgive those who sin against us." As you encounter your neighbor today, step into that healing circle/flow of forgiveness. If they've wronged you, forgive. If you've wronged them, make amends. When we step into the virtuous circle of forgiveness, the world becomes more like the world God longs for it to be - a world where each person recognizes the value, worth, uniqueness, and solidarity of the other in, by, and through the grace of God.